As boxes are slowly being put away, the pile of unfinished projects grows. Early in my SCA adventure I beaded a sideless surecoat with a blue cotehardie for an underdress. That project was entered it into the GW A&S exhibition as a “work in progress”. Now is the time to start the finishing work. This started with buttons…. First challenge making the cloth buttons. I searched the web and found several sites that have great tutorials. 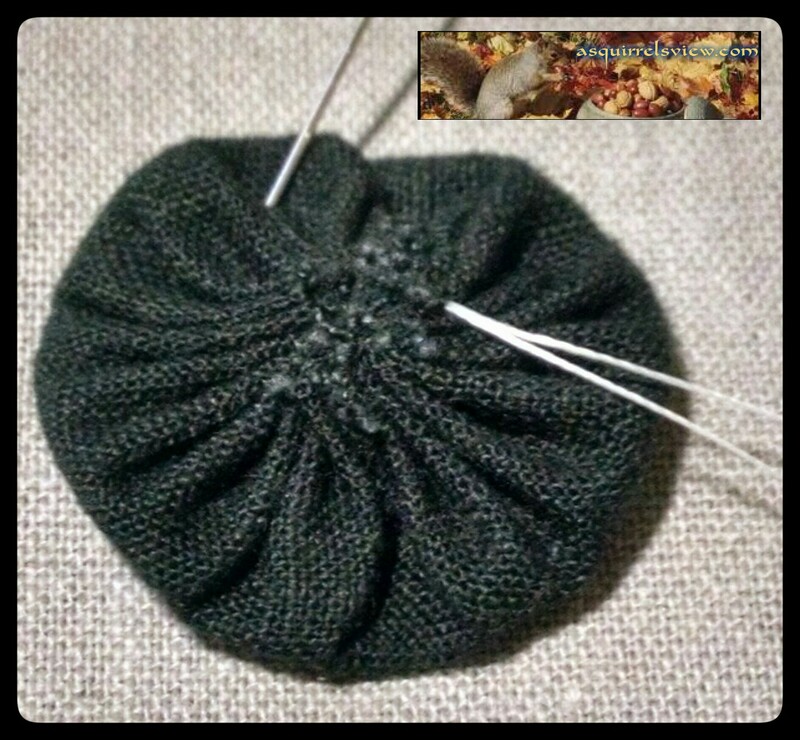 The one I chose to use as a base is: Making Cloth Buttons. 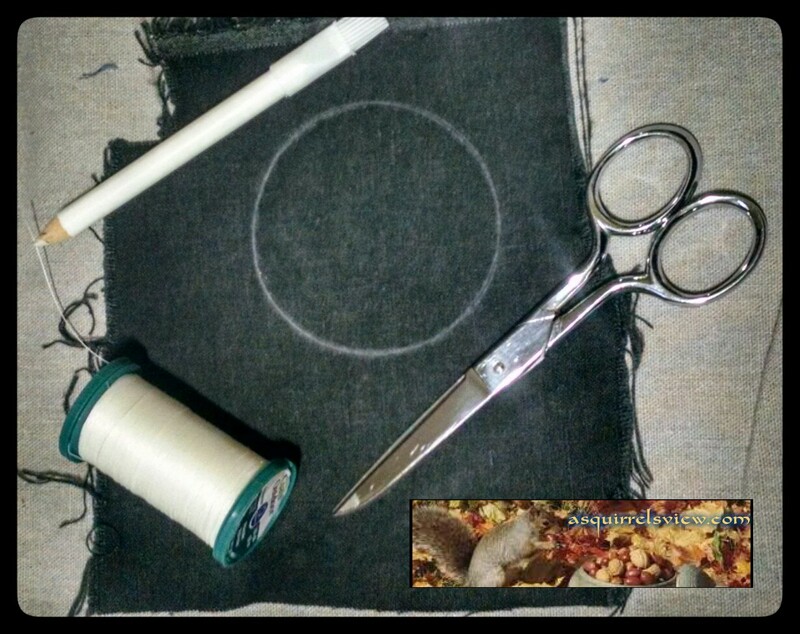 Use the spool of thread to create your circle then cut on the line. 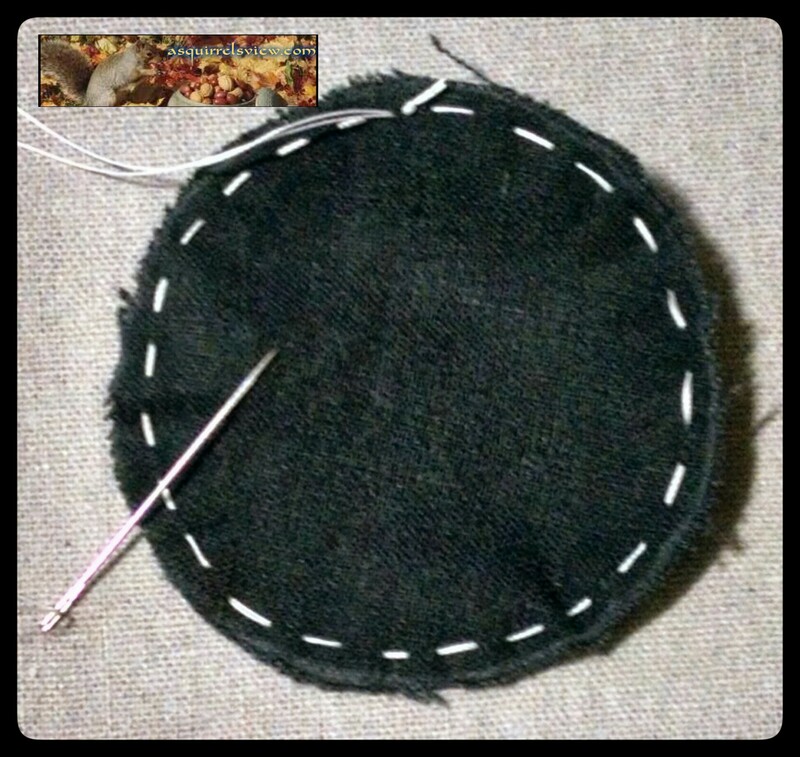 Next, thread a needle using a long piece of thread ( I used buttonhole thread in a contrasting color for the visual if using regular thread use a double strand) and stitch around the circumference far enough from the raw edge that the fabric will not fray. 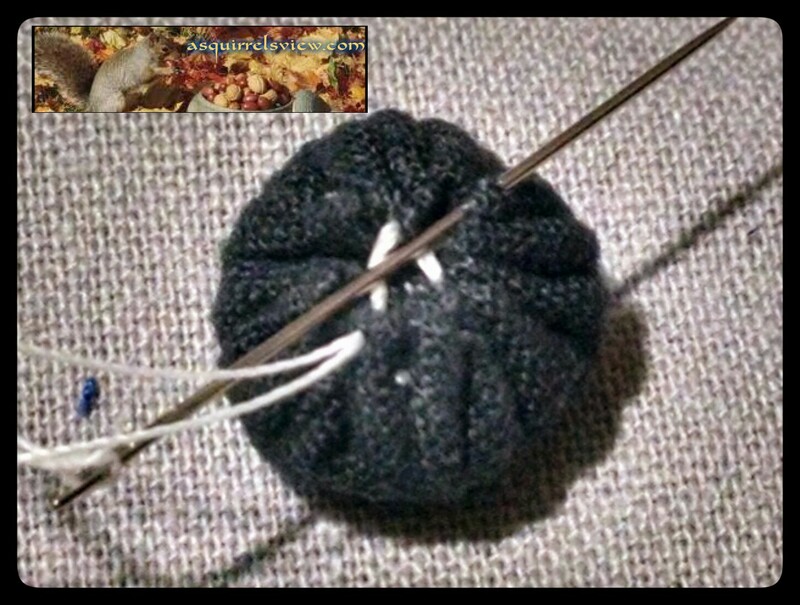 On the flattened button, repeat the above step, stitching around the folded edge. ( I forgot to take a picture of this step) Firmly pull and shape til you get the button. second gathering to bring it into the button shape. 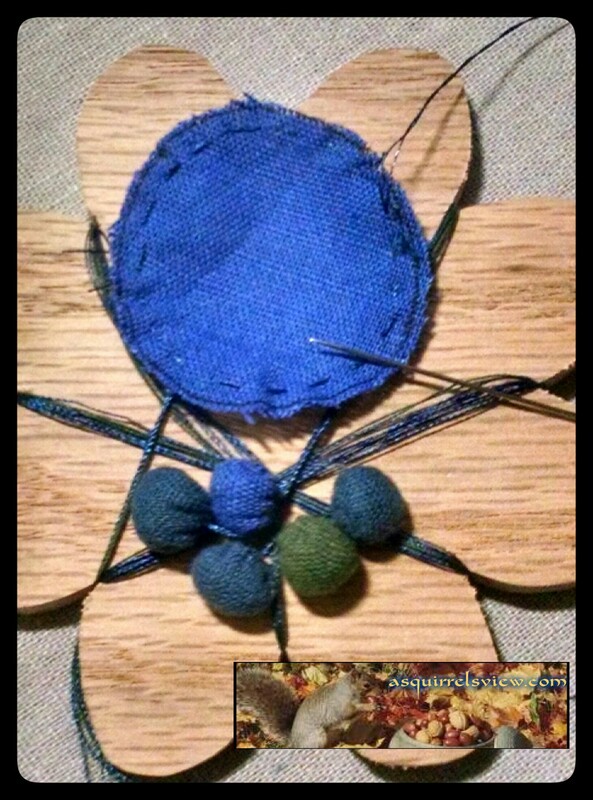 Take your needle and stitch across the opening using the gathering as a guide.. and Viola you have a button.. Leave a long tail so that attaching to the garment will be easier. 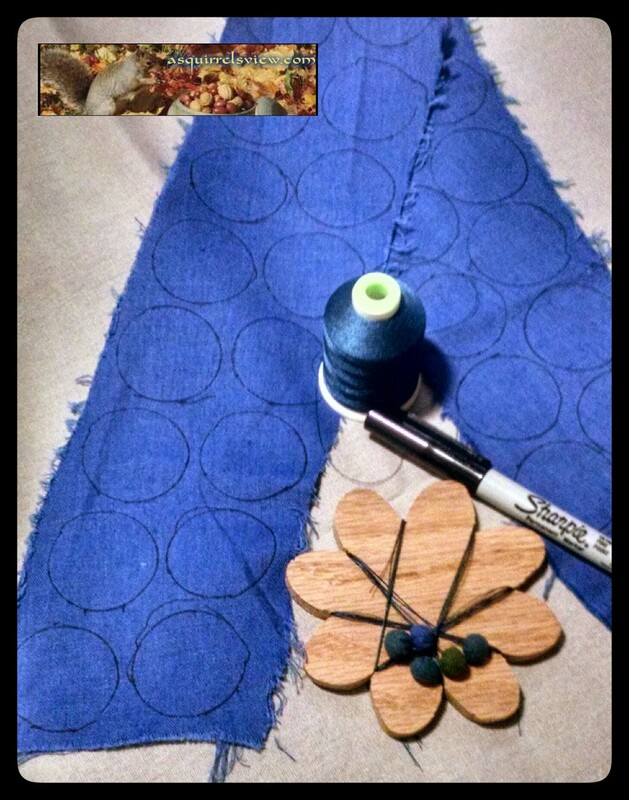 30 buttons drawn for cuffs..
Making fabric buttons was easy and they match the dress. Give them a try and see what you think. The cost of pewter buttons for a cotehardie can be very high as you need sooooooooo many. This is a great alternative and is also period. Have fun!! Your blog post just came up in my Reader – what a coincidence! I had two posts last week about making fabric covered buttons from scratch and several ways of sewing them on. They must be in the air… 😉 I for some reason just decided to figure them out and off I went. thank you for your kind comment!! You are appreciated. Thank you for following my projects. I am definitely ADD ooohhh Shiny.. I took a break to deal with life but I am back and trying to catch up on postings and starting new projects. I am very excited that at least a few notice and read them, and even more excited if I can inspire a creative spurt. You are appreciated! !